When we seek out relief from pain, athletic enhancement, mood-boosters, or need to relax, many of us reach for something man made. We take pills of pain-relief, drink alcohol to relax, or consume sugary & processed food and drinks to boost energy levels. But did you know – these processed substances can actually do more to harm than help? Everything we need can actually be obtained naturally, and most of what we need may be in the last place we expect. Right here in our homes. The Ayurvedic texts even suggest that ginger has aphrodisiac properties! (As does asparagus, maca, and the herb Ashwagandha – although making a meal from those ingredients could prove to be interesting! Help to ease with the pain of arthritis or gout, reducing swelling and inflammation. They contain melatonin, a hormone which really aids in helping us get to sleep; other foods containing good levels of the sleep-inducing chemical include kiwis and walnuts. Supremely underrated, banans are cheap, come in their own wrapping, and provide lots of energy. They protect against muscle cramps, so it’s a good idea to eat one before exercising (since 2 bananas provide enough energy for a strenuous 90 minute workout), or before bed if you suffer from restless-leg syndrome. BONUS FACT: 50% of human DNA is identical to the DNA make up of a banana! Use honey to help soothe a sore throat. A great tea to help with colds and flu contains ginger, lemon and honey – which can also be taken daily as a tonic to help cleanse the body. Obviously honey is sweet – and substituting sweeteners such as refined white sugar (which has an unbelievable amount of negative effects on the body) for honey, allows you to reap honey’s health benefits instead of sugar’s toxic elements while retaining a lovely taste. Honey gives a natural boost of energy, and other bee products such as bee pollen are said to even improve athletic performance. Manuka honey has especially medicinal properties, helping to majorly boost the immune system, and can be applied to wounds to help naturally heal them. Taking one spoon full a day can do wonders for your health. Magnesium is especially important for the body to maintain good muscle and nerve function and can help to prevent fatigue and anxiety. Squash and pumpkin seeds provide high levels of magnesium, as well as zinc which helps to strengthen the immune system. These little seeds also raise levels of LDL or ‘good cholesterol’, and help to reduce post-menopausal symptoms in women. Used widely in Indian cooking, Turmeric is one of those herbs which should be used regularly because of it’s powerful healing benefits. It is an anti-inflammatory, so use it to treat cases like arthritis, and IBS because of the curcumin, which gives Turmeric its yellow colour and is the healing element of the herb. Although a controversial subject, Turmeric can actually help to prevent cancer from forming within the body as it replicated healthy cells and helps the body to destroy mutated cancerous cells. It really is a very important herb to look in to – turmeric supplements are even available to take as a daily dosage. Parsley – While it’s handy to chew on to keep your breath smelling fresh, parsley is also an immune-booster, encourages digestion, and is great for detoxing the liver. They’re also very high in antioxidants; the ‘hotness’ of the pepper is determined by the amount of capsaicin they contain, and the hotter the pepper, the higher amount of antioxidants it contains. While you may not think of them as pain-relievers, the capsaicin in cayenne pepper can help to reduce the pain of psoriasis, fibromyalgia, shingles, osteoarthritis and rheumatoid arthritis. One more reason to love chilli peppers? ; They release endorphins. When a person gets used to the initial fiery-ness, it becomes pleasant, (for most people) and the ancient Aztecs and Mayans considered it chilis an aphrodisiac too! For a quick morning detox, and to get your digestion off to a good start; try a table spoon of apple cider vinegar, the juice of half a lemon, a teaspoon of raw honey and half a teaspoon of cinnamon in warm water. **Don’t throw away the lemon peel! If you buy unwaxed lemons, you can use the zest in tea, stirred in to porridge or in smoothies. The peel contains around 5 to 10 times more vitamins than the actual juice! Lemon zest can help to lower blood pressure, improve bone health, reduce symptoms of mild depression and anxiety, and help to reduce bad cholesterol, to name just a few of the benefits. Many people have stated that including hemp seeds in their diet has been life changing’, and they’re probably right – as these little seeds provide so much energy. * If you’re using processed protein powders before or after a workout, consider swapping to natural hemp seeds or hemp powder; They help to build muscles and give you tonnes of energy. A large handful of Cashews have the same anti-depressant properties as a prescription dose of Prozac. Yes, it’s true; one big handful contains one to two thousand milligrams of tryptophan, which works just as well as prescription antidepressants. Tryptophan is the precursor to the neurotransmitter serotonin, which gives us a feeling of calm and wellbeing. Carbohydrates make tryptophan more available to the brain so that serotonin can then be produced. Lentils, walnuts, brazil nuts, beans, oats, mushrooms, pumpkin seeds and bananas are just a few other good sources of mood-enhancing tryptophan. We’re constantly being told by scientific studies that consuming a healthy amount of nuts is good for us and can lengthen our life span, so you’re really doing two amazing things for yourself by choosing natural nuts over pills and chemicals. 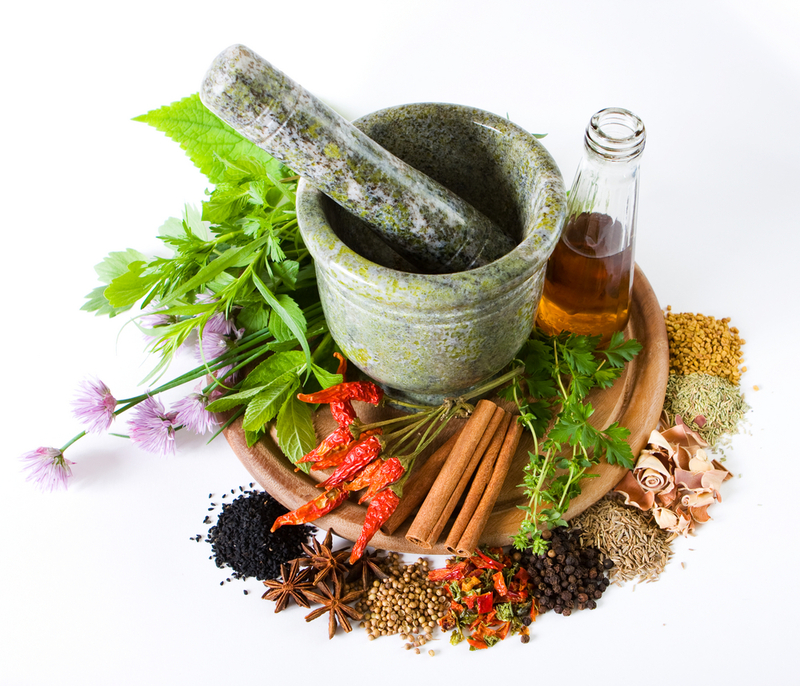 There are so so many more natural products you have lying around your house which can be used to cure an array of illnesses; herbs are especially potent, so stocking up on those is a must for anyone wanting to take their health in to their own hands. Don’t rely on doctors or chemicals when you feel discomfort or want to boost your energy levels. You know your body better than anyone else, just listen and it’ll tell you what it needs.